The secret to true fulfillment is to create abundance in all areas of your life. Here are five significant life lessons that I’ve learned – sometimes the hard way – that I think could easily be lessons learned too late if you don’t put them into practice today! 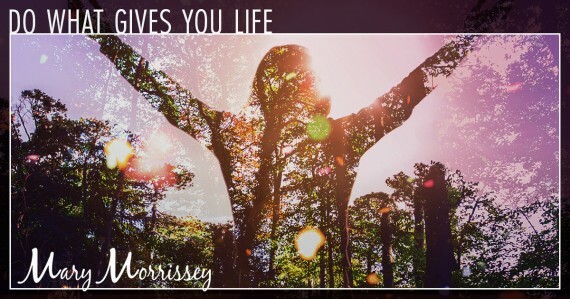 I share these five lessons with you so that you can incorporate them into your life, should you choose to, along with reasons why I think these lessons can actually help you open the door to a life you would absolutely LOVE living. 1. 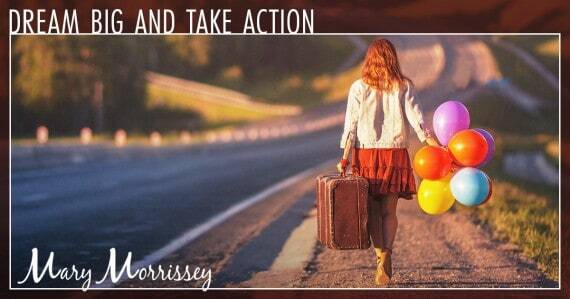 Dream big and take action. It costs nothing to dream big. Most people make choices about what they think they can do, what others think they can do and what the economy tells them they can do. But regardless of what others may say or what your current circumstances may dictate, what would you love? Allow yourself to dream big. Then think about some simple action steps you can take that help welcome that dream right into the life you’re living now! 2. Make friends with fear. Fear is part of this life and is simply the border of the reality you know. That’s all it is. Inside your comfort zone is everything you know. You’ve learned how to walk, but there was a time when walking was scary and you took very faltering steps. You weren’t good at walking and you were afraid at first, but you didn’t let your fear stop you. You kept walking until you improved. Think about it – everything you’ve ever done for the first time was most likely somewhat scary. So go ahead and make friends with your fear, and always keep moving forward! 3. 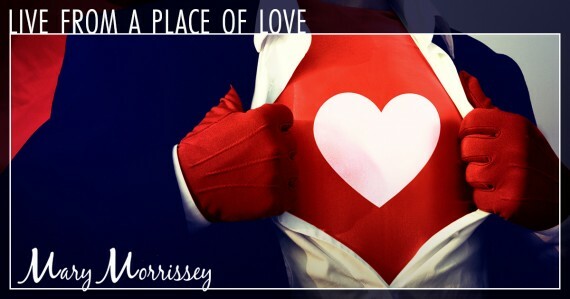 Live from a place of love. Did you know you can choose which frequency or feeling you’re going to live from each day? Knowing this, will the frequency you choose be anxiety, resentment, fear… or how about love? If you choose to be in love with your life today, just as it is, this doesn’t mean you don’t want to grow or change. All it means is that you’re grateful and honored to have a day of life today and that you want to make the most of it. You’ll never have this day of life again – not in eternity. So today, I highly recommend choosing to live from a place of love, because there are flowers to smell, hands to hold and love to give. How to rise above limited thinking and start living your life with purpose. I laughed and told him no, that we continue to brush our teeth, every day, over and over again. Our teeth get dirty every single day and so we brush them regularly, not just now and then. This is the same with forgiveness! There’s a grit and grime on your psyche and spirit that collects from daily life. So, learning to bathe daily in forgiveness is actually a shift in perception that removes resentment, blame and criticism of others and yourself. Forgiveness isn’t for anyone else, it’s for yourself. Forgiveness is an act of self-love that gives you a fresh start for the day and when you go to sleep at night, so you can live a life from a place of love. 5. Do what gives you life. You most likely will be at a crossroads at some point in your life – a time when you’ll have to make a major decision. Any time you’re at a crossroads, ask yourself which choice would give you more life? Which choice makes you feel most alive? Which choice feels more expansive? Many people have been trained to make decisions by what others think or what the world thinks they should be or do. By asking yourself the questions above, the best choice begins to become crystal clear. Your spirit and your energy will never lie to you. When you pay attention, you can actually feel your spirit expand and your energy rise when you make decisions that are in alignment with what brings you alive. So there you have it! Five important lessons that I highly recommend you incorporate into your life before it’s too late. I hope these five lessons will enhance your life experience in an expansive way. You only get to live once, so choose to learn everything you can in order live a happy and healthy life that you love! What’s one lesson you’ve learned that’s made a HUGE difference in your life when it comes to your happiness and fulfillment? Go ahead and share your thoughts with me in the comments section below. I’d love to hear from you! And if you’d like to discover how to overcome limiting thoughts and patterns in order to attract and enjoy “full spectrum wealth” – meaning greater abundance and joy in all areas of your life ‒ my new online masterclass is for you! Because not one of us wants to be wealthy in one area of our lives (like our careers) and bankrupt in another (like our relationships). Thanks for your advice im applying them to my life every day. For having a purpose highly motivates me no matter what challenges may I encounter. Love your advice, very helpful. Mary – Thank you so much for sharing your wisdom – and your mother’s. You impress me very much and always have! Last night I saw a movie with Emma Thompson (the Children Act) and throughout, I was reminded of you. It was notabout how the character approached life, but instead, the intelligence shining out of her eyes. My life lesson is to listen to your inner self and take notice. Don’t waste anymore time. Act or wait but recognise what you need and do and do it. Take time to make decisions for yourself and don’t just be swept along. Make a conscious decision. Live with love, forgive others and yourself x. Thank you for sharing! Very valuable lessons to always remember! Its great advice but i am seperated with three children who rely on me as they are still young, makes it had to know whether to follow my dreams or sacrifice my children. Perhaps you can live for your children in this season, with a view to living your big dream when they fly the nest. Perhaps it is a time to wait; with a great expectation for your future. The one thing that has made all the difference for me is gratitude. I am grateful for so much and when I focus on the gifts rather then the hits of life I am a better me. Thank you for letting me share. So applicable considering that I has brain tumor surgery two weeks ago. I don’t know for sure yet, but I think working from a love and forgiveness platform is the way to go. Yes, I agree I am 62 years young and just left my “secure” job because it was killing me! I took a chance but it feels so much better than being in prison! Also, I am going back to school because I was tired of thinking I had stopped learning. Then, I met a man who loves me like crazy and he is so great for me and after being married for 3 terrible times due to bad choices for me, it feels wonderful. After helping / caring for my mother from age 81 until she was 94 and finally passed over, it was difficult to watch her because she had SO MUCH regret! Yes, I am choosing LIFE. And I hate the “should” word! I am learning the lessons you mention before it TOO LATE…. Thank you for sharing, I am excited to make these lessons a part of my daily ritual. I learned one lesson with 4 parts! Don Miguel Ruiz The Four Agreements! 4. Always do your best! God always has a better plan for are lives than ourselves. I learned this during a very difficult time of my life and when friends or family extended a helping hand I found it difficult to accept their gift and would try and decline or assure them it wasn’t necessary. I didn’t realize I was robbing them of a blessing. Someone was doing or giving because they wanted to and I was being too hard headed and proud to receive it. When I changed my perception and was able to literally smile and say Thank you both parties won and that is a wonderful feeling. I am a senior journalist, writer, peace activist and a dreamer. I dream of a world devoid of hate and I think my dream has come true. The second edition of my first book, “Khawab Lay Lo Khawab” (Take Away my Dreams), based on my memoirs was received well and is now out of print. A second edition is in printing press. This time I hope to make savings. As a cancer survivor, I learned to give each day my best. What can get done, complete it and do it quickly. If I cannot do it, then either delegate, or just let it go. Never stress over anything. It’s the stress that made me ill. Never again. Scripture reads “Fret not thyself.” “Cast all your cares upon Him for He careth for you.” I now accept those, not as kind and passing words, but as commandments. He only expects us to do the best we can and then simply leave the rest up to Him. That lesson alone has been a game changer for me. I needed this right now in my life because l’ve decided to go back to school. At my age l know it will be challenging but l am ready for the task. Thank You of the 5 important lessons. They encourage me! I have learned to be kind to myself. It seems I used to be very hard on myself, especially if my goals and work on projects dud not work out. I do not need to be perfect. That was a hard one. My daily struggle is to let go of the pass and not let others opinions make me who I am. And to forgive them for the hurt the impose.